The referendum vote was genuinely shocking, whichever way you voted. A year after David Cameron was as surprised as anyone to have been given a majority government at the General Election, he must have been stunned at the popular call for the UK to quit the EU and now he is on his way from Number 10. How and when Britain – or parts of it – manages the exit is anyone’s guess, mainly because it has been such a revolutionary decision and we don’t do revolutions. In the coming issues, MRW will be reporting on how the result of the vote affects the waste sector. There may well be winners and losers. Waste management companies dealing with construction waste, for example, will struggle if their building clients ease up on development (as they already appear to be doing). But exporters of recycled textiles might benefit from the currency changes. And what of local authorities trying to cope with the sometimes mutually exclusive goals of saving money while trying to boost the household recycling rate? I presume they will no longer have to worry about hitting a 50% target by 2020 and so they can concentrate solely on austerity. Before the referendum, MRW had struggled to find many ‘Brexit’ voices in the sector, with most commentators and organisations backing the status quo because of the way that European directives have driven the UK’s waste industry. The day before the poll, Eunomia’s Dominic Hogg wrote at length about this on the Isonomia blog. I liked his observation that ‘Brussels’ may have told us ‘what’ to do (as critics of the EU claim) but it was the UK’s choice about ‘how’ that happened – in other words, how we transposed directives into domestic legislation. For example, the use of TEEP in justifying commingled household collections was a Defra decision, not a ‘Brussels bureaucrat’ dictating the number or colour of bins we use. We are likely to be cutting ourselves from all that and the consequences are daunting. But, as time passes, the prospect of going alone on waste policy becomes less of a handicap and more of a challenge. That’s certainly been the opinion of our key institutions such as the ESA and CIWM since the fateful vote. 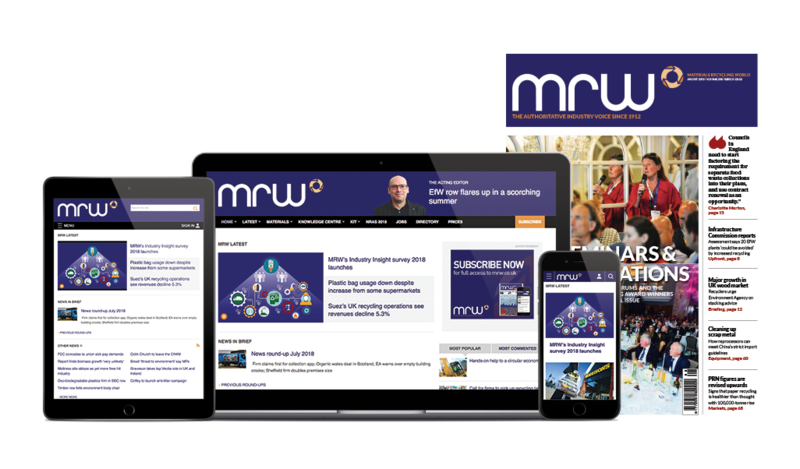 Barry Dennis, as chair of the RWM Ambassadors, believes self-help may be the order of the day, saying the sector will have to “lead strategically and develop solutions as opposed to waiting for steer from existing legislation”. The historic lack of will from Defra to intervene in any way on resource efficiency – apart from tackling waste crime – is certainly an indication that opening its policy door in future might take some shoving from our different representatives. To be fair, Defra has had to cope with some of the biggest spending cuts in Whitehall and the related loss of many staff, but recycling is certainly low down in the Government’s in-tray. All this year, the department has been preparing a 25-year plan for the environment but it is my understanding this has got virtually nowhere with all the uncertainty over EU membership. Perhaps now is the moment to knock on that policy door because hard-pressed officials and their ministers could do with a hand.